Alpha Productions manufactured a custom retractable awning and it is amazing. I have had so many compliments. SKYLIGHT PERGOLA / LATTICE AWNINGS—Shade your outdoor living space by adding this custom one of a kind system. 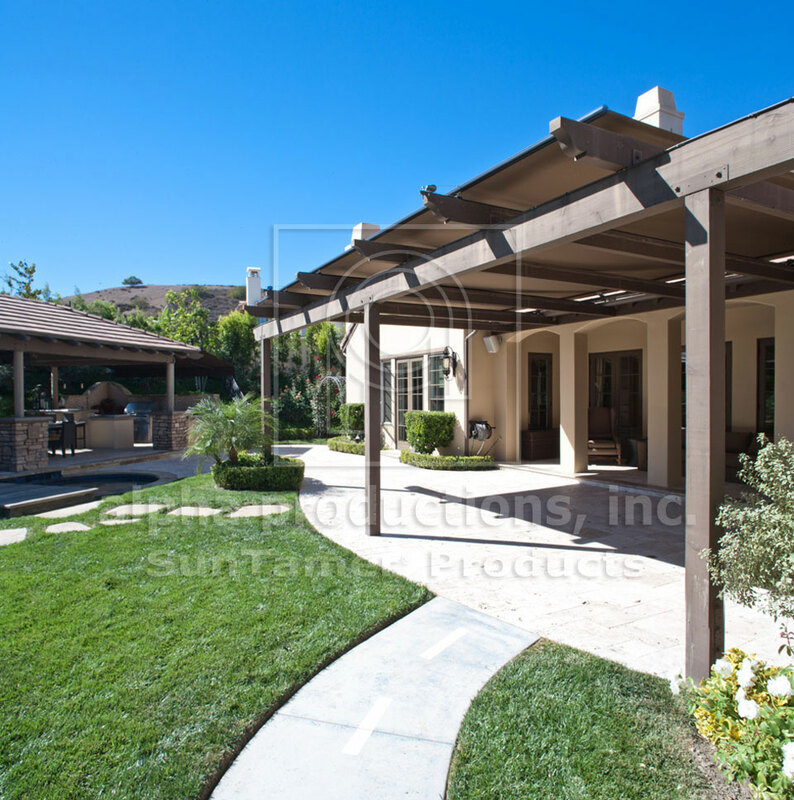 Most wooden pergolas or wooden patio structures do not create sufficient shade and in fact prevent home owners from enjoying their outdoor patios. The pergola Skylight Awning is maintenance-free; as the awning retracts, any debris simply rolls off the back of the roller tube. 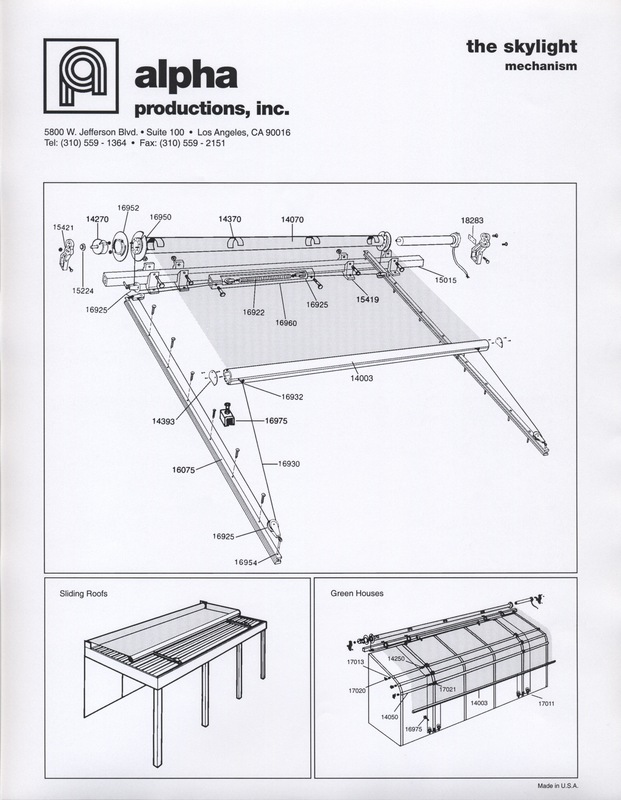 The spring-tensioned system allows you to stop the awning at any point—with the flip of a switch or your remote control. Every Skylight Awning is designed to use 100% solution dyed acrylic fabrics using either exclusively Sunbrella® or European equivalent fabrics. The Skylight Awning can provide up to 400 Square Feet of shaded outdoor living space.